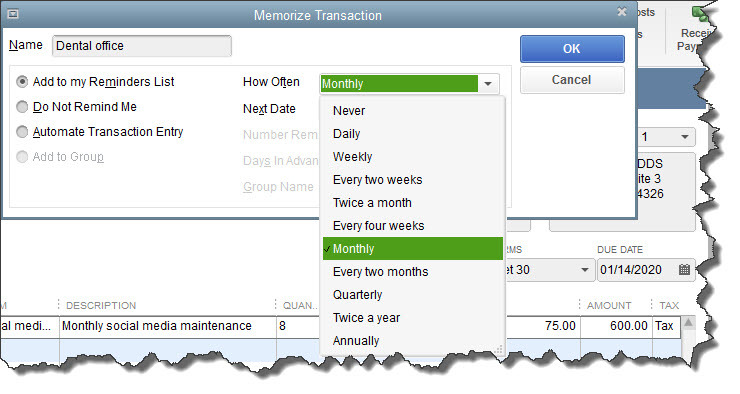 CommonSense QuickBooks Coaching Memorizing Transactions in QuickBooks: Why? How? 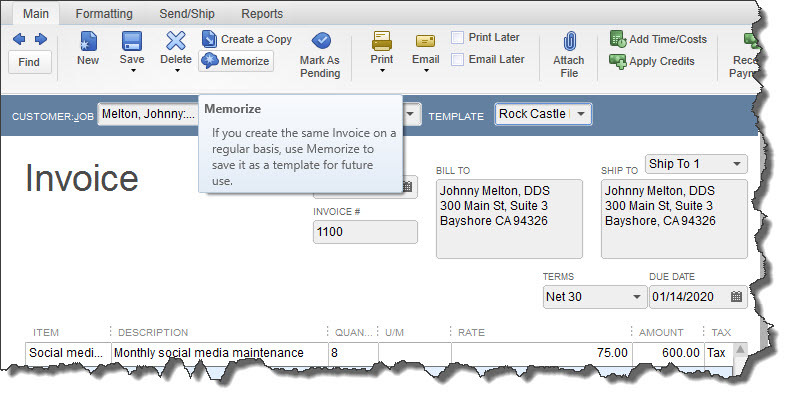 One of the reasons you started using accounting software, among many others, was to save time. And QuickBooks has complied. Once you create a record for a customer, vendor, item, etc., you rarely – if ever – have to enter that information again; you simply choose it from a list. Highlight a transaction in the list and click the down arrow next to Memorized Transaction in the lower left corner to see your options here. You can also click Enter Transaction, and your original form will appear. If you’ve saved it with a permanent amount, you can just save and dispatch it. Otherwise, enter the correct amount before you proceed. If you’re fairly new to QuickBooks and don’t feel like you’re well acquainted with its time-saving features, give us a call and we’ll set up some training. Better to do that upfront than to have to untangle a jumbled company file. We’re always happy to help.